Mumbai, 26th March 2019: HyperX held a small gathering regarding an announcement which they have been planning to make for some while now. The company is very popular in the E-sports platform and is one of the most valued brands when it comes to gaming peripherals, SSDs, RAMs and etc. 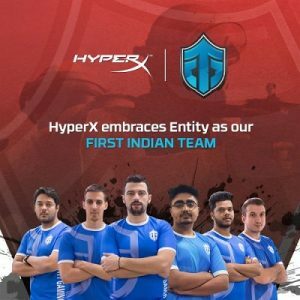 HyperX today in an official announcement has confirmed their sponsorship with Entity Gaming making it the brand’s first eSports team sponsorship in India. Entity Gaming is one of India’s most successful professional eSports team which has participated in a lot of events in the past including some big names such as ESL India, DreamHack, Intel Extreme Masters XIV, Taiwan Excellence Gaming Cup, Mountain Dew Arena, and many others. The GadgetGig team had a chance to get in touch with the team’s CEO and Director Neerav Rukhana, as well as Director and Chief Gaming Officer, Varun Bhavnani who gave us an inside look of the boot camp where the Entity athletes spent most of their time. The executives introduced the athletes to us and walked us through their daily schedule which might surprise most of you. Further, Vaibhav Kulkarni and Vishal Parekh, executives from HyperX gave us a little idea as of how their gaming peripherals will help boost the performances of the athletes and what all products the gamers have been using lately and what their input is on them. According to them, HyperX as of now, has managed to ship over 5-6 million headsets worldwide and is now one of the most valued brands in this industry. “HyperX is entering into our line of sponsors monetarily too! It is a first for us and we believe that we are setting a standard for the industry with regards to how sponsorships are done. We welcome this sea change in the scene and are excited to see how this pans out for the Indian esport ecosystem. India’s esport circuit requires the right infrastructure and funding to make the nation world-ready. This is a step in the right direction.” said Entity Gaming director and chief gaming officer Varun Bhavnani. Entity Gaming has a team dedicated to CS:GO, Dota and PUBG Mobile also. We’re all gamers, this slogan is enshrined at the heart of Entity Gaming. With the right directions and proper guidance, we believe that there is a potential professional gamer within each of us. While our teams continue to make our nation proud, we now have a believer who shares this vision. With them, only the sky is the limit. Last year, our Dota 2 roster was at the threshold of The International. 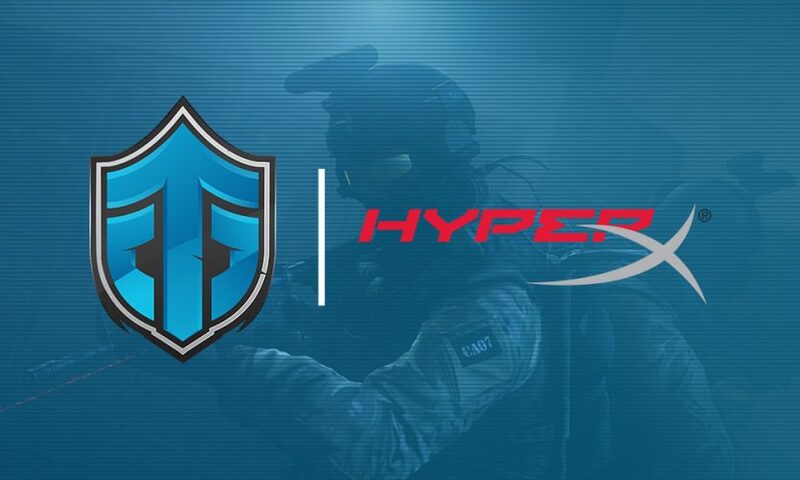 This year, our CounterStrike: Global Offensive team reached the Closed Qualifier to a Minor, making them the first to do that in Indian history. Now, watch us as we shatter these boundaries. This sponsorship will go long ways into helping us remain India’s top esport powerhouse. HyperX’s dedication towards quality products and services merged with our devotion towards our vision will chart new waters in the esport circuit, as mentioned by one of the team executives.